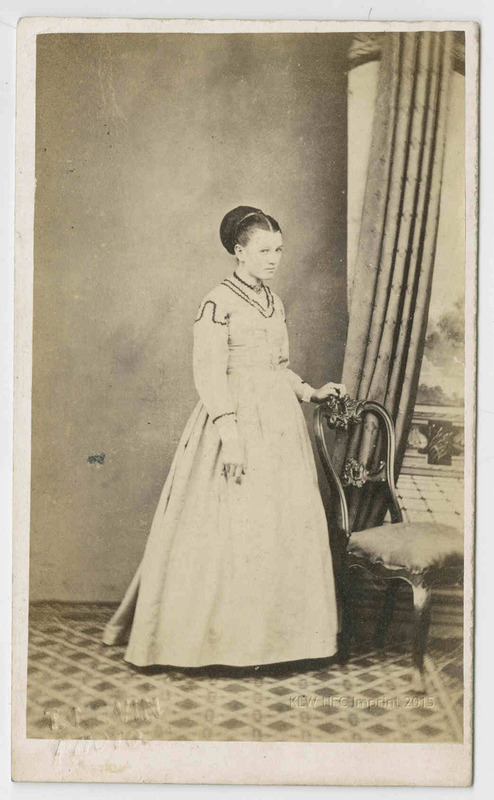 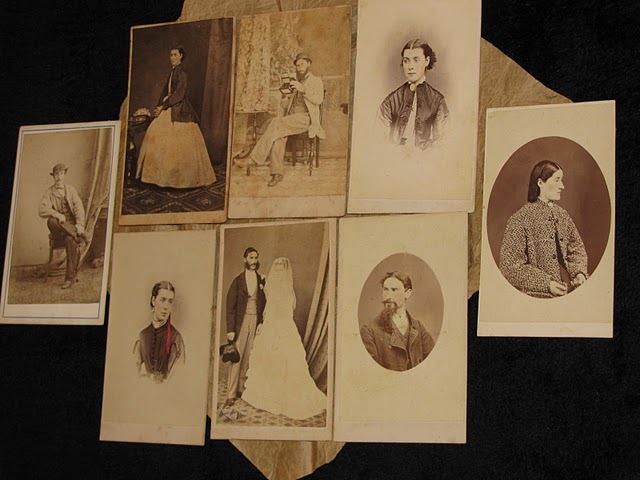 Extent1 photograph on carte-de-visite mount : albumen ; 9.3 x 5.6 cm. 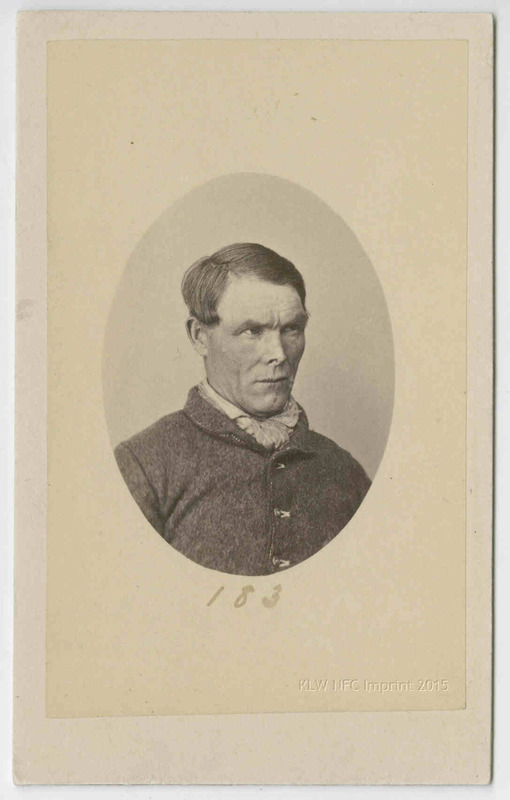 William or John Woodley was convicted at the Supreme Court Hobart, on 22 November 1870, sentenced to 10yrs for “b…..y” as the police notice states on his discharge (below), 9th January 1878. 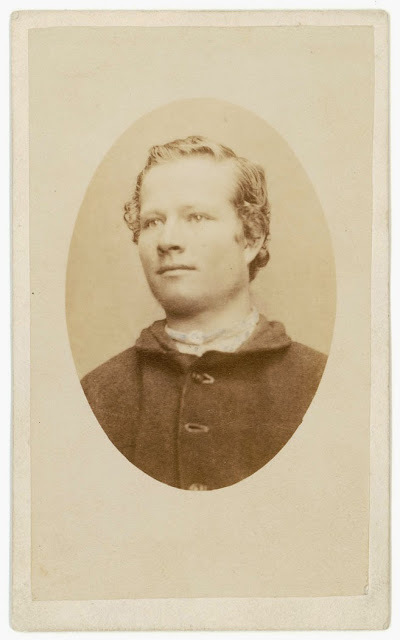 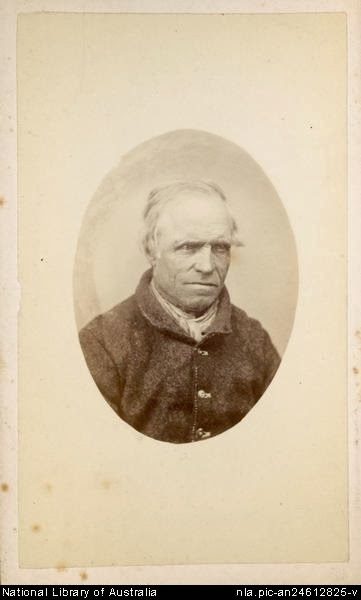 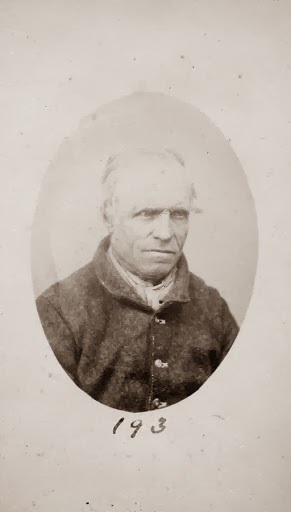 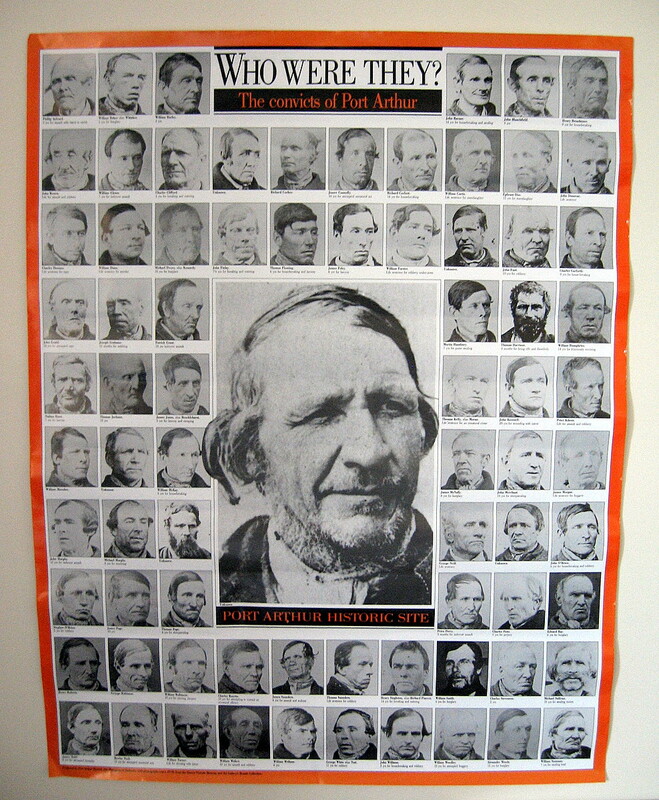 John (his name is inscribed on the verso of this carte as William per the later police record of 1878) Woodley was photographed by T. J. Nevin during incarceration at the Hobart Gaol in 1874, and again on discharge 9th January 1878. 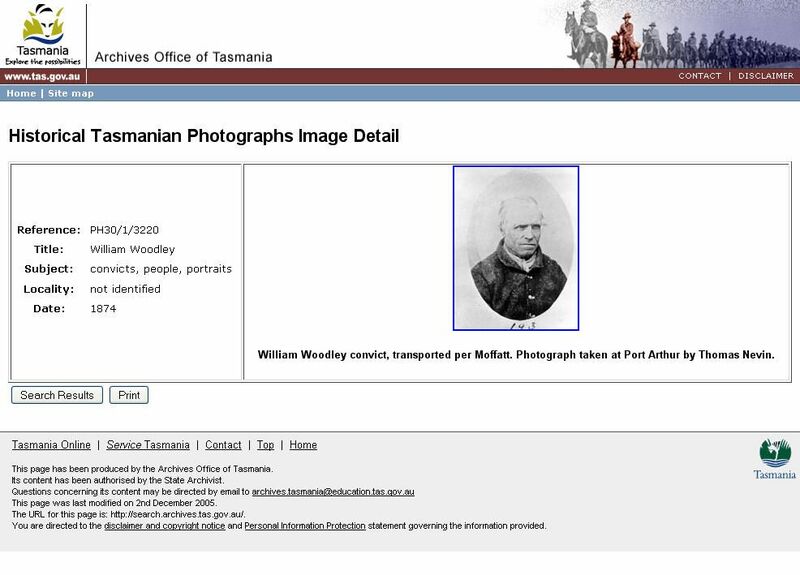 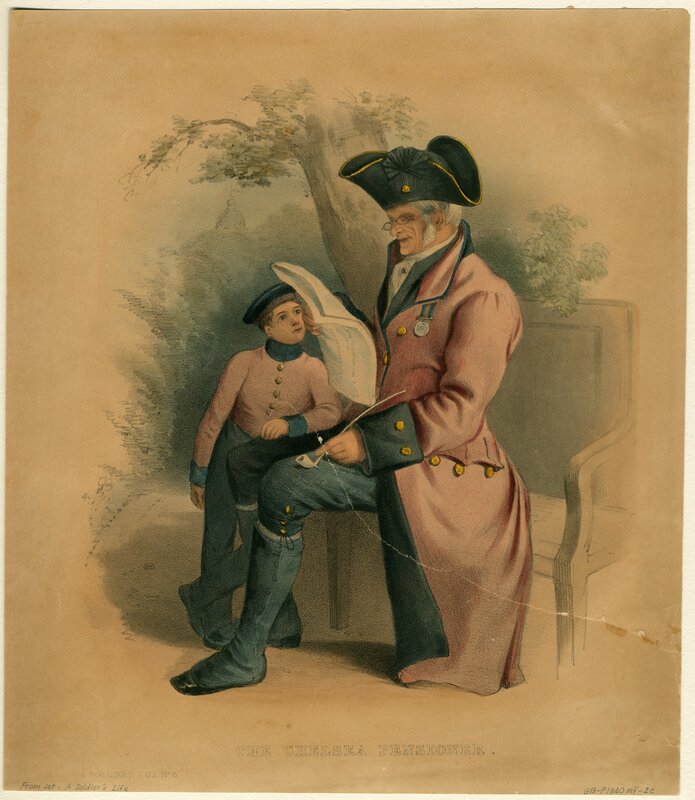 Above: This duplicate or original with numbering held at the QVMAG, Launceston has verso information the same as the carte and image of the NLA holding. 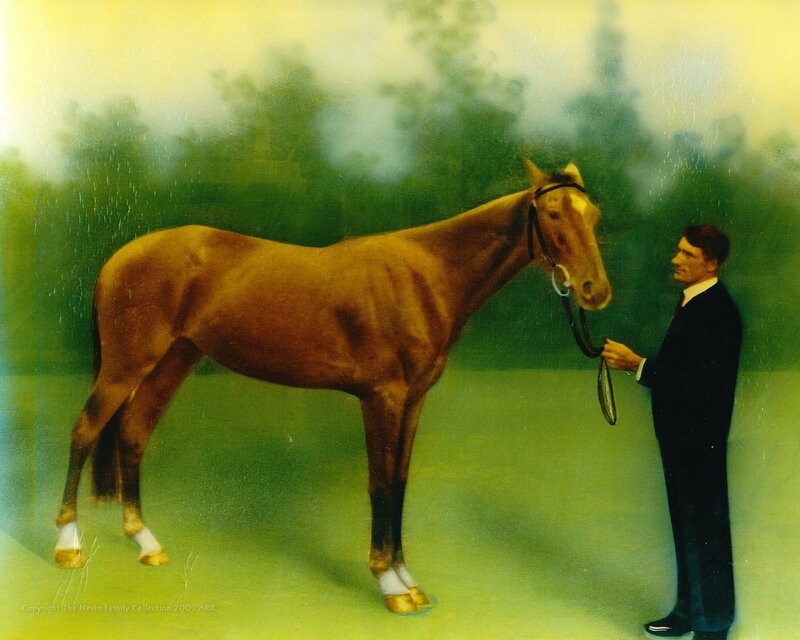 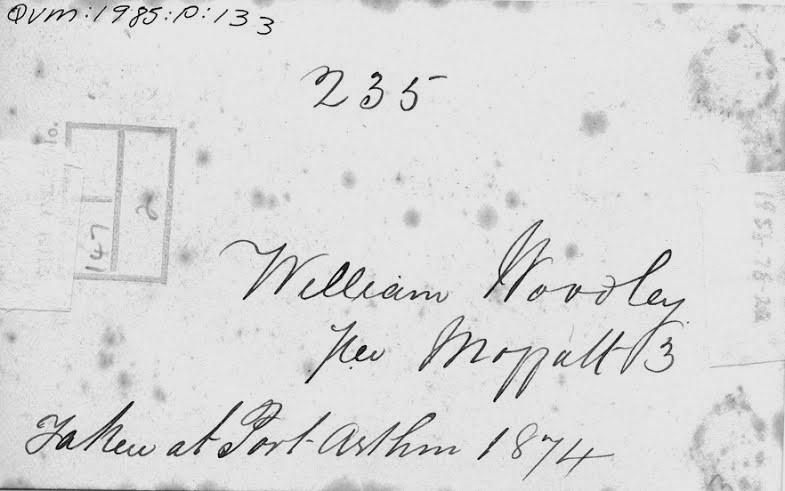 There are no records of Woodley at Port Arthur. 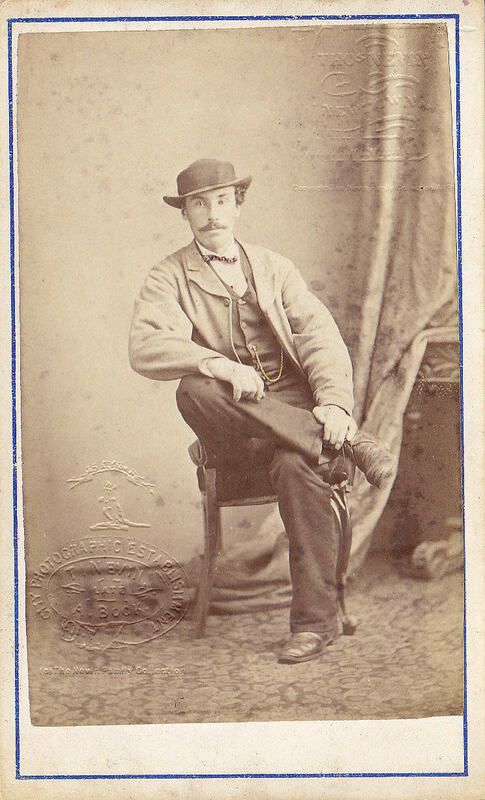 As with many of these cartes, the inscription – and possibly the numbering on recto and verso was added in the early 1900s by an archivist who wrote “Taken at Port Arthur 1874” regardless of fact.The archivist was probably Edward Searle who worked at John Watt Beattie’s convictaria Museum and studio from 1911-1915, and prepared many of these prisoner mugshots for sale and for display in exhibitions, for example, the exhibition held in conjunction with the floating museum, the fake convict ship Success, in Sydney in 1912.